We really love the West End of Glasgow. 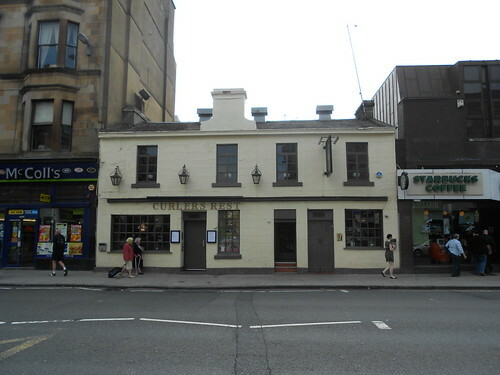 After the Gary Numan concert, we rode the subway to the Hillhead station on Byres Road and grabbed a pint at this large pub, purported to be 600 years old. I don't recall much about the interior, or if it followed the sport of curling as a theme or not. They do have a great selection of cask ales. I drank a Kelburn Red Smiddy. Unfortunately, this pub only stays open until midnight. But they did ask us to leave very politely.